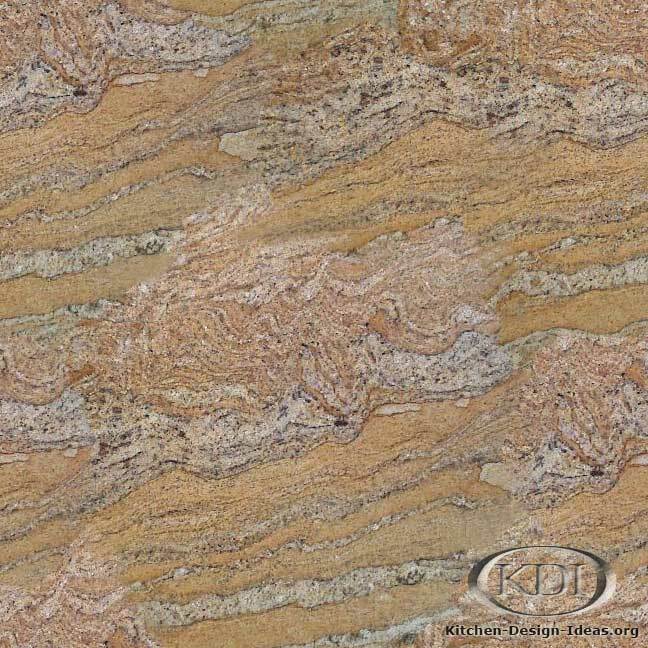 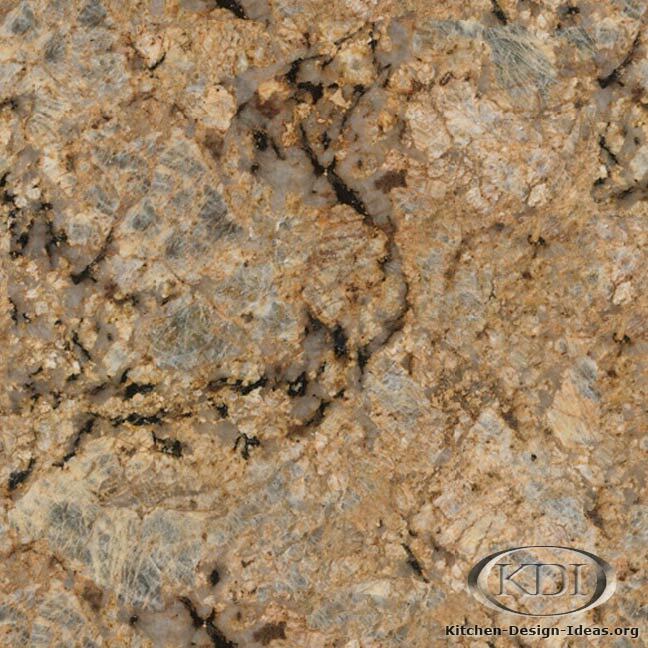 Designer Comments: Featuring bold swirls of beige and gold blending nicely with hidden gems of translucent quartz and occasional splashes of purple, Ivory Coast granite is surely a pleasure to behold. 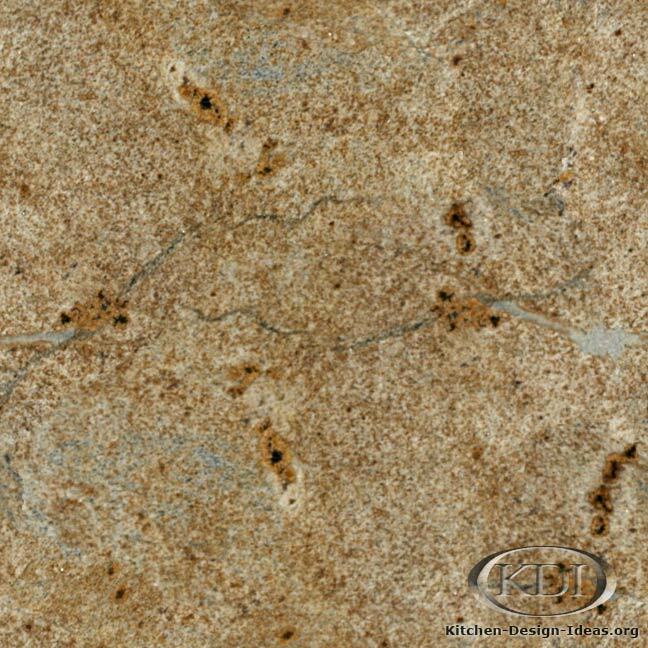 This material has been used with a variety of cabinet colors, from dark stained wood to natural tones, white painted cabinets to nearly black cupboards. 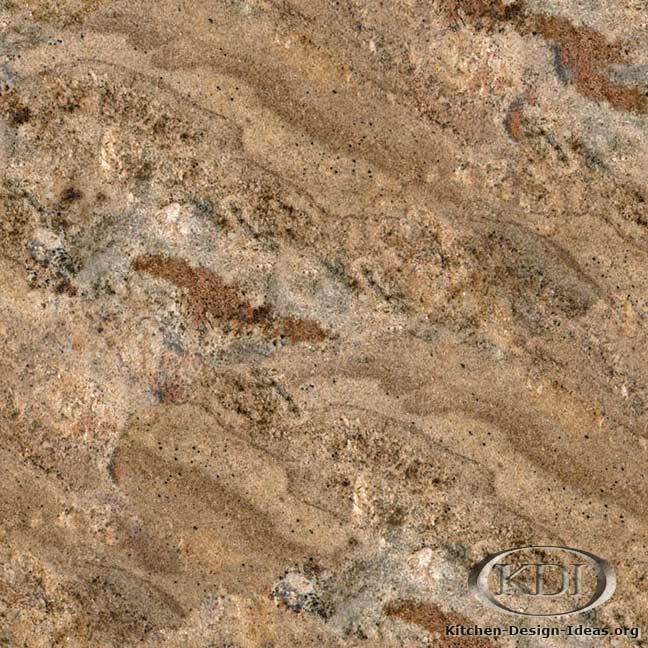 Discretely beautiful, though never timid, African Ivory is certain to make an indelible impression on any guest in your kitchen. 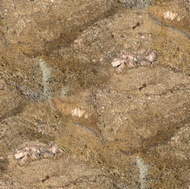 Caveat: Image accuracy cannot be guaranteed. 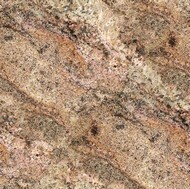 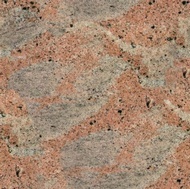 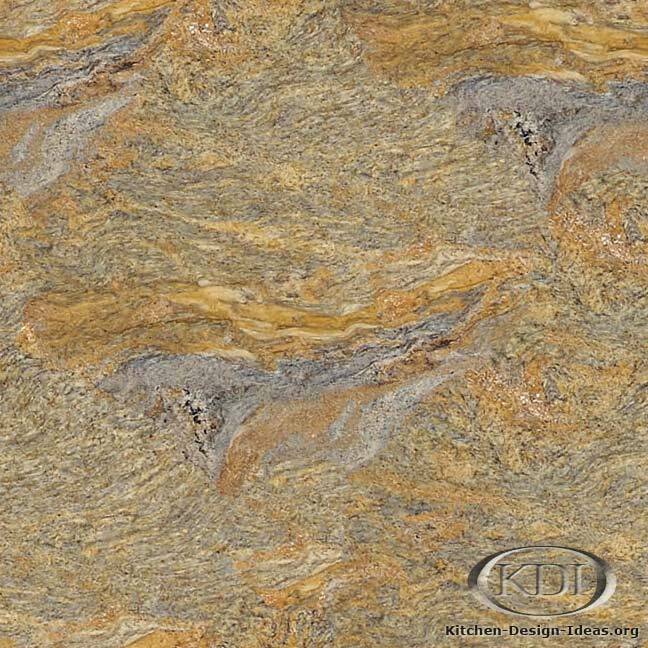 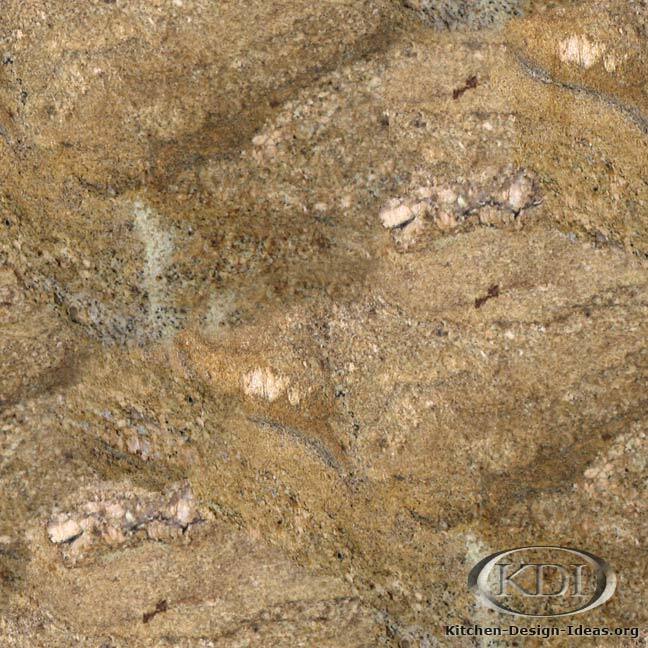 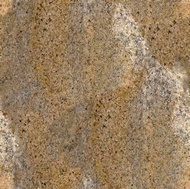 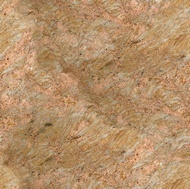 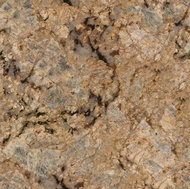 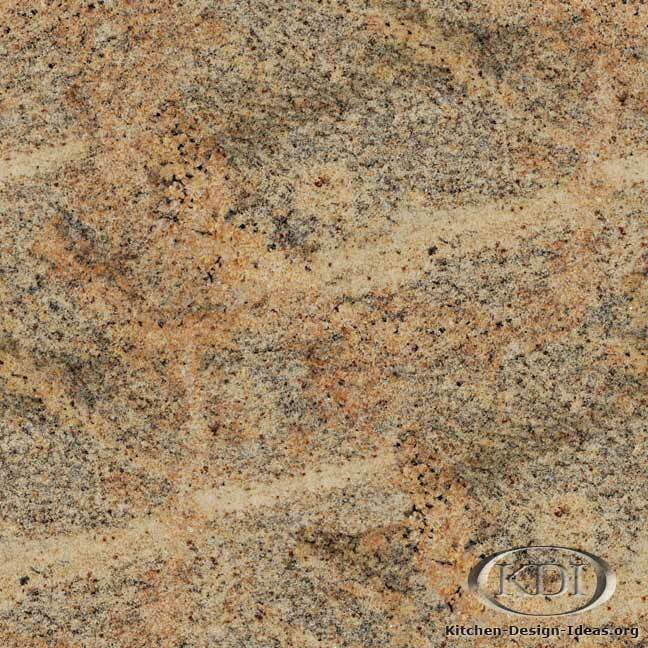 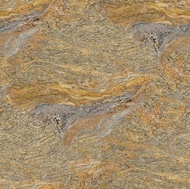 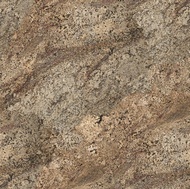 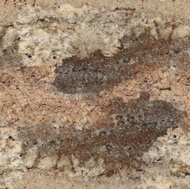 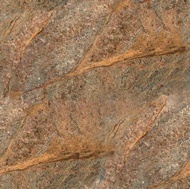 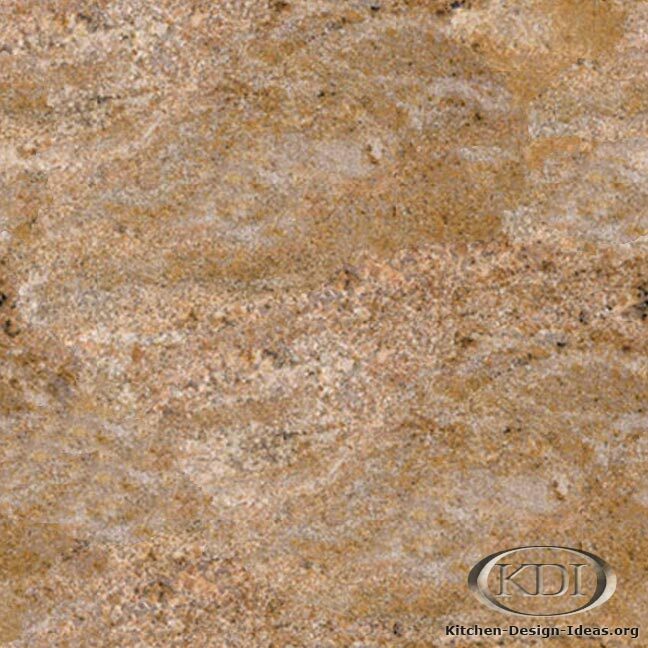 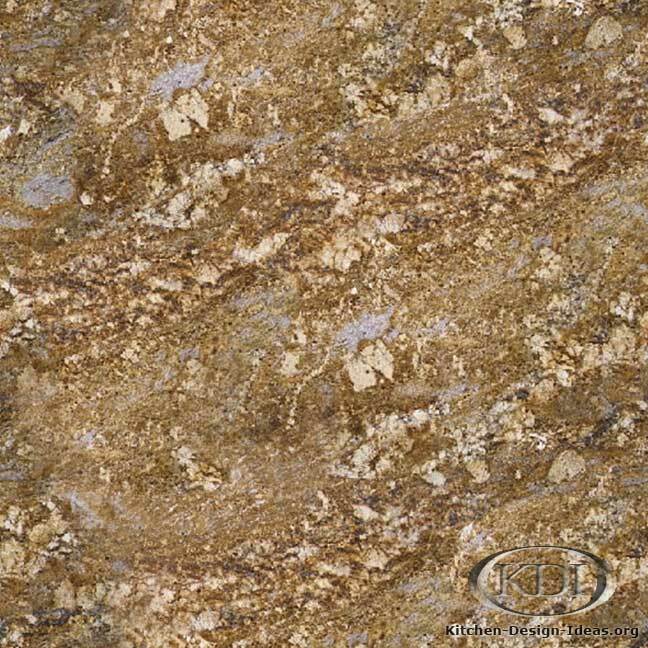 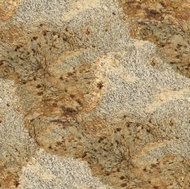 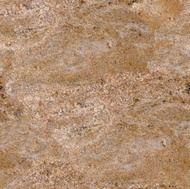 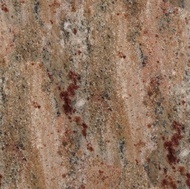 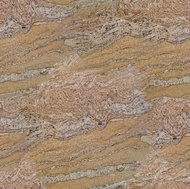 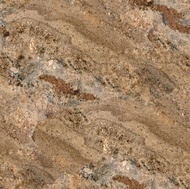 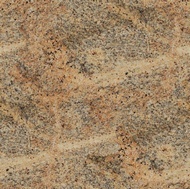 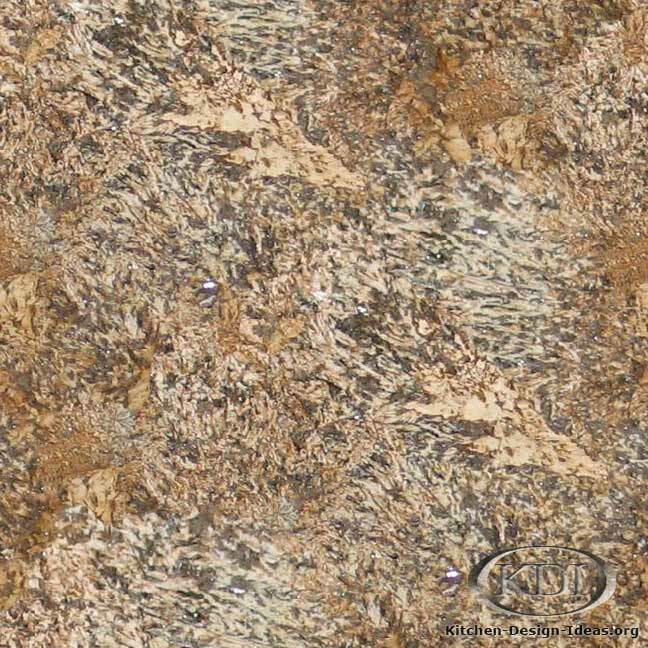 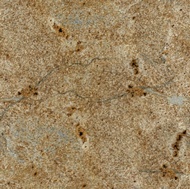 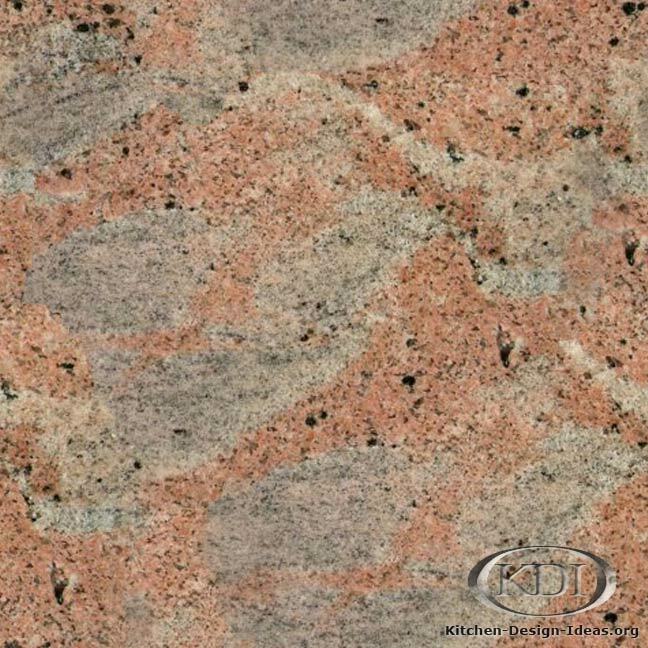 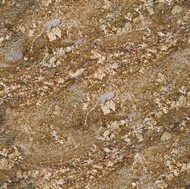 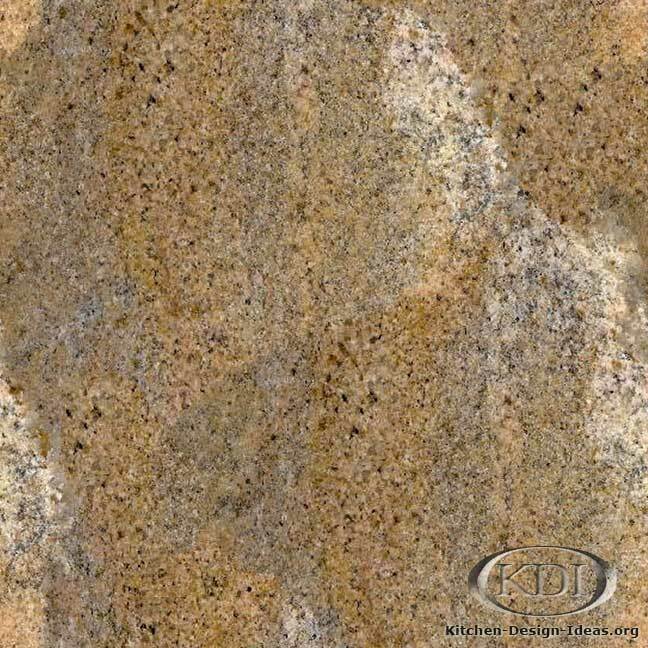 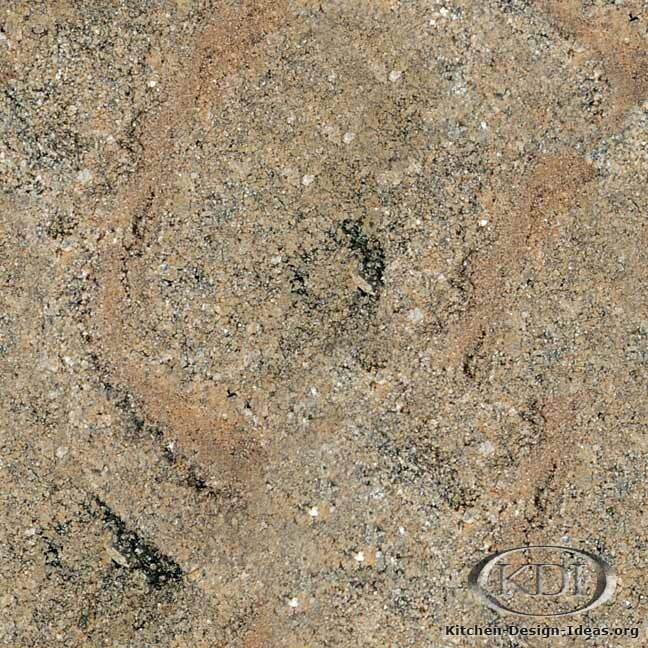 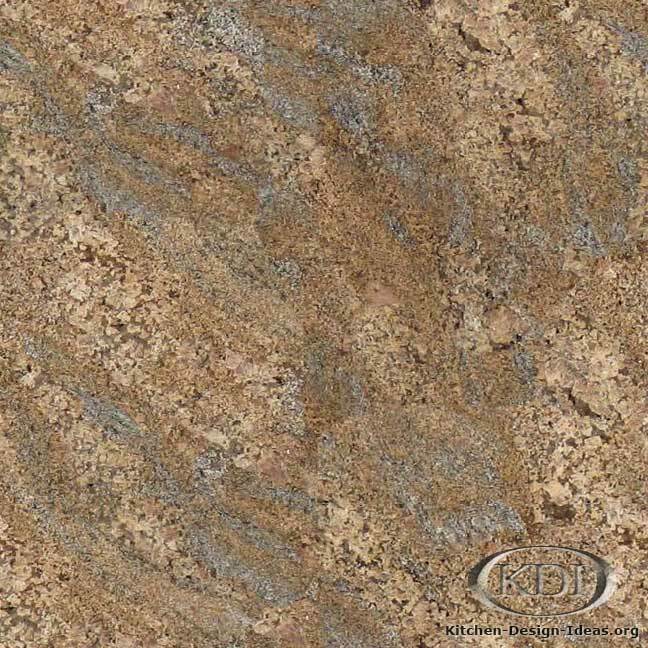 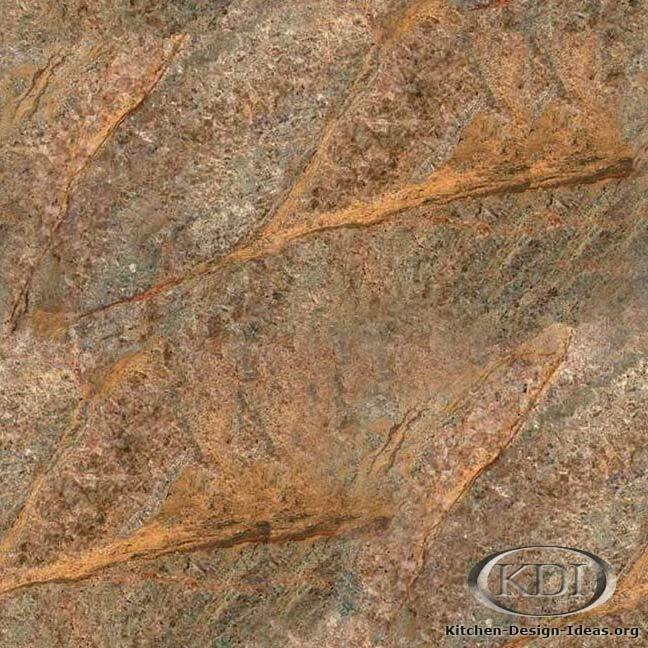 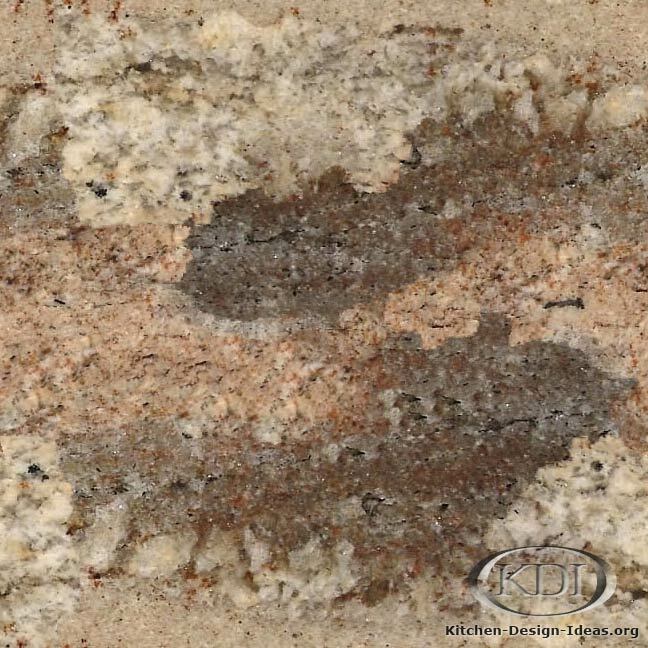 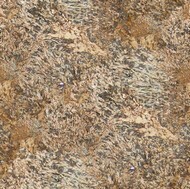 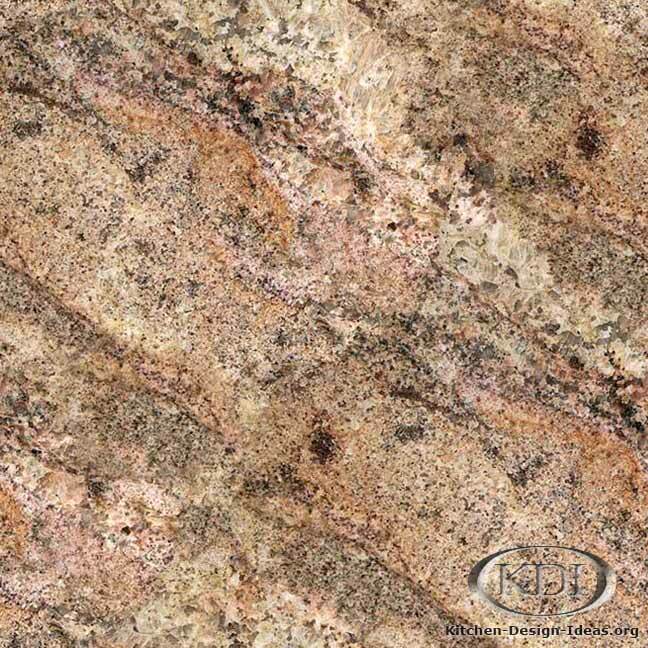 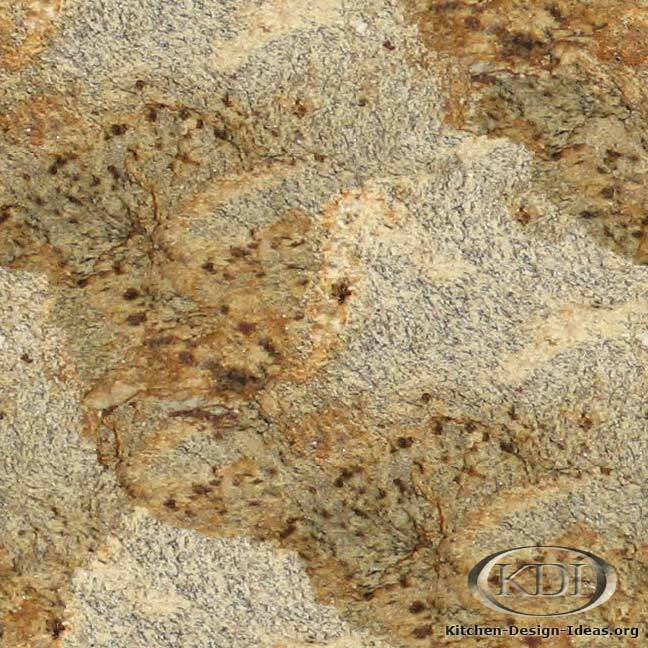 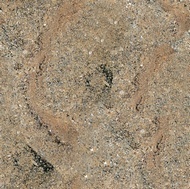 Granite is 100% natural, which means you will not find material that looks quite like this photograph. 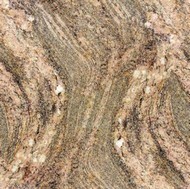 Every piece will be different, particularly so with the more dramatic granites like this one. 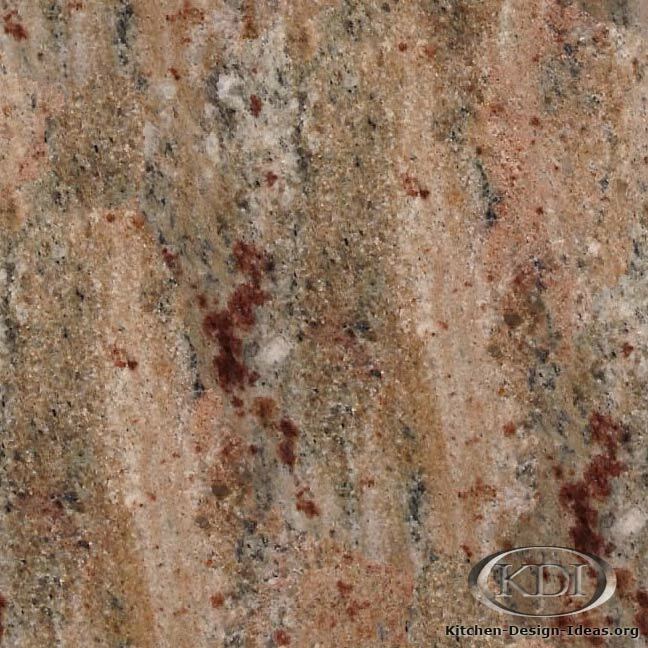 Make sure to pick your slabs in person when specifying granite for your project.